Today the City of Santa Monica is releasing the initial findings of a robust research project that aims to measure the wellbeing of Santa Monica's residents. The findings will serve as a baseline for how the community is doing now so that wellbeing can be tracked on an ongoing basis. While important, the findings that are being released are only a small part of Santa Monica's Wellbeing Project. The project is working to fundamentally change how the government thinks about its citizens, by integrating the science of wellbeing into its very foundation. But what is wellbeing? Are we saying that Santa Monica is measuring how happy people are? Certainly that is a factor, but wellbeing is much more than only happiness or wellness. Wellbeing is about individuals having the skills and opportunity to live a meaningful life. There are countless things that cities do that either contribute or detract from that sense of meaning. The Wellbeing Project is about collecting data on a range of factors, linking across findings, and then translating these findings into action. 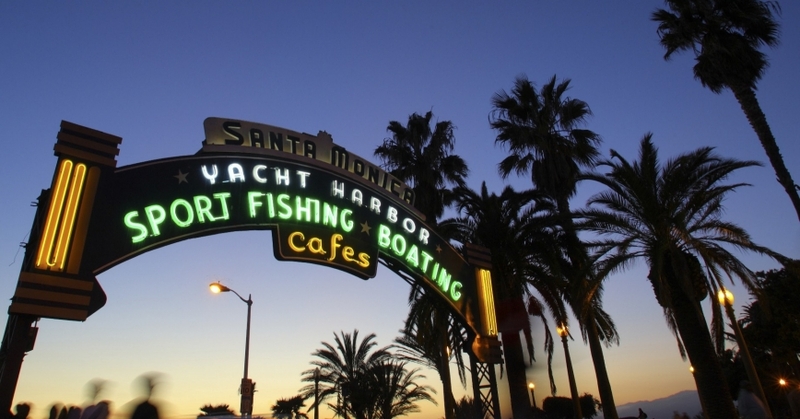 Santa Monica is the first to more fully relate both the subjective and personal experiences of its residents to specific conditions that support or detract from wellbeing. That is groundbreaking. In other words, Santa Monica and its partners have identified specific, measurable conditions that directly influence personal and subjective wellbeing. To do this, several dimensions of the wellbeing experience were identified including the social, physical and economic environment. Once these dimensions were defined, the city collected and examined a range of data across agencies and sectors at the city level, as well as through resident survey and social media, in order to create a baseline of wellbeing in the community. Creating a baseline of wellbeing for Santa Monica required unprecedented examination of what data the city currently collects. This motivated a real examination of whether current city data systems support the ongoing monitoring and evaluation of wellbeing, and whether the volumes of data that cities often collect have the signal value to inform policies and programs that actually promote wellbeing. While cities collect data all the time, a full examination of how disparate sources of data connect and how it can be used to inform government decisions that support wellbeing is novel. The important distinction of the city's efforts is the difference between data, information and insight. Collecting immense amounts of data does not automatically lead to information. The data must be analyzed and distilled into something translatable and consumable. Additionally, information alone does little good unless the city can learn from the findings and take action upon them. This initial findings release is only the beginning. Now the city is enhancing the conversation about how government, its partners, and the community work together to cultivate a community that thrives and flourishes. And the city is examining whether it has the data organizational culture, and concurrent governance structure it needs for wellbeing decision-making. We now have the framework in place to propel the city into action, so that Santa Monica can lead the charge in examining the roles and responsibilities of the city government in the 21st Century. Anita Chandra is a senior policy researcher and director of RAND Justice, Infrastructure, and Environment at the nonprofit, nonpartisan RAND Corporation. This commentary originally appeared on Santa Monica Daily Press on April 28, 2015. Commentary gives RAND researchers a platform to convey insights based on their professional expertise and often on their peer-reviewed research and analysis.